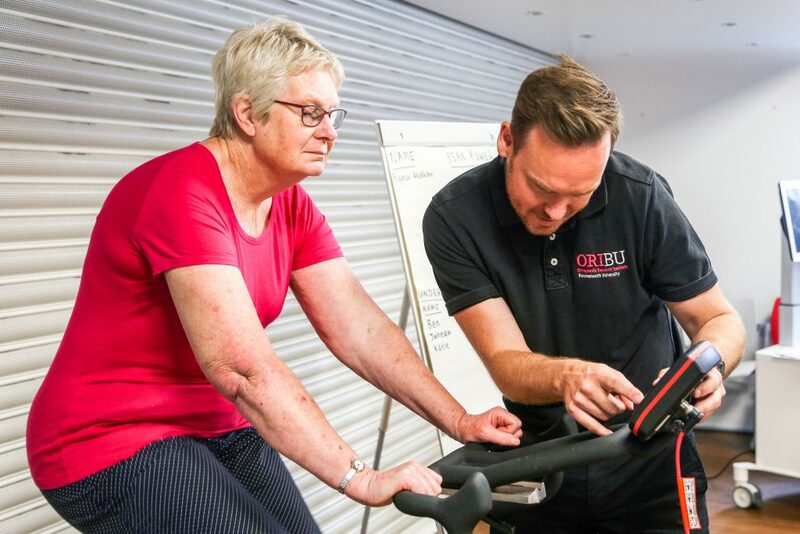 If you have hip osteoarthritis and are interested in taking part in the CHAIN programme, you will need your GP to refer you to Professor Robert Middleton at the Orthopaedics Outpatient Department at Bournemouth Hospital. A member of Professor Middleton’s team will then assess your symptoms and medical history and decide if the CHAIN programme is suitable for you. Following your referral to CHAIN, you will be contacted by BH Live (The Littledown Centre) to arrange your welcome appointment. During this session, a specialist exercise referral consultant will complete a one-to-one assessment. The programme will be explained, personal goals will be set and a comprehensive physical assessment will be completed. You will then attend six weeks of cycling and education at the Littledown Centre. Each week you will receive a different education session and will participate in a specially designed indoor cycling exercise class. 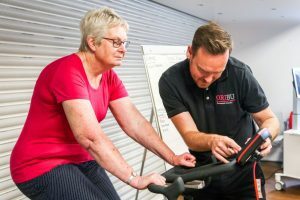 A home exercise programme will be prescribed for each participant, and plans for lifestyle changes and ongoing exercise participation into community based activities will be made. At the end of the programme, a one-to-one progress review will occur. Participants will be given a report of their progress and a personalised plan for their ongoing self-management. More information can be found in the CHAIN Leaflet.